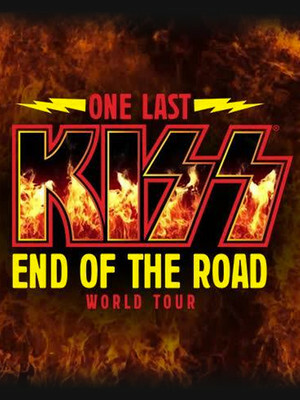 Don't miss this chance to see these classic rock legends strut their stuff for one last time! Dust off your black and white face paint because the godfathers of glam metal are dusting off their axes and hitting the road for their Final Tour Ever! The End Of The Road world tour sees them take their (very) unique brand of rock around the USA and you can be sure that they'll be busting out smash hits like 'Detroit Rock City' and 'Rock and Roll All Nite'! The Starchild, the Demon, the Spaceman and the Catman rose to the height of the glam rock wave of the late 70s with an incomparable live show. From retina-burning pyrotechnic displays, spark-shooting, flaming guitars to floating drumkits and rockets, this is a no-holds-barred event, and the Simmonds, Stanley, Singer and Thayer (all in their late 50s and 60s) still give as good as they get. Look out for that iconic tongue! Sound good to you? 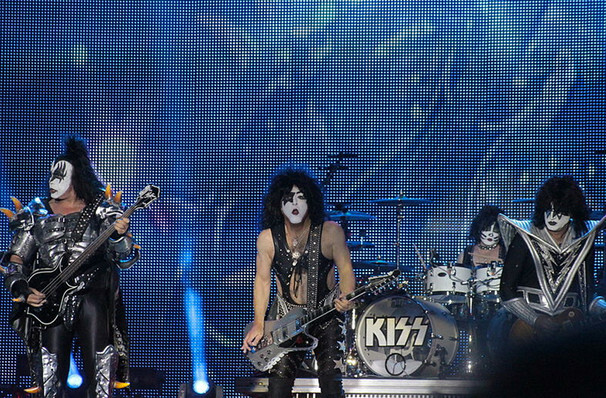 Share this page on social media and let your friends know about KISS at Scotiabank Arena. The game is on in Sarah Burgess' breathtakingly witty and virtuosic comedy exploring the vision, the vulnerability, and the vilification of those shaping - and skewing - the economy. Please note: All prices are listed in US Dollars (USD). The term Scotiabank Arena and/or KISS as well as all associated graphics, logos, and/or other trademarks, tradenames or copyrights are the property of the Scotiabank Arena and/or KISS and are used herein for factual descriptive purposes only. We are in no way associated with or authorized by the Scotiabank Arena and/or KISS and neither that entity nor any of its affiliates have licensed or endorsed us to sell tickets, goods and or services in conjunction with their events.